“Wilde’s Fire”… Krystal’s novel is here! 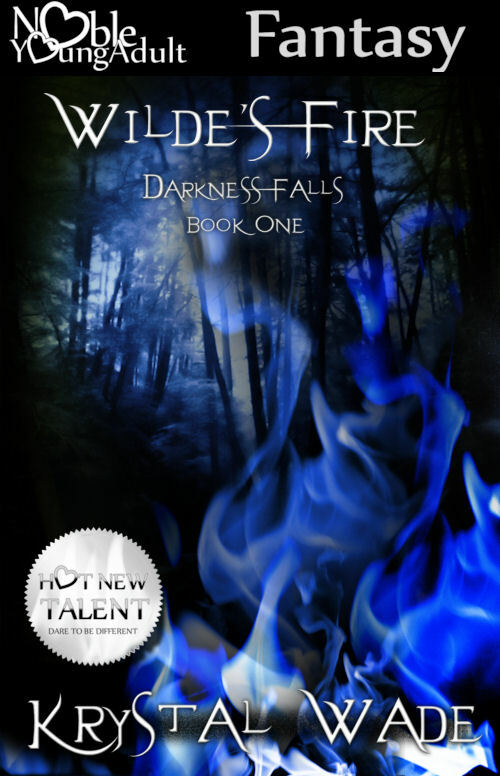 My friend Krystal Wade’s debut Young Adult novel Wilde’s Fire has finally been released this month! This book is part of an exciting fantasy trilogy. It is my pleasure to host a little taste. Krystal has been blog hopping about her book and herself, and even about the main character, Kate. But what about Kate’s hunky love interest ? Who is that guy? Krystal is right here to tell us a little about him. Gosh, if I tell you, he might not belong to me anymore. Ha! He doesn’t really belong to me anyway, does he? When you first begin reading Wilde’s Fire, you might believe Arland is just a figment of Kate’s imagination. Almost every night she dreams of him, spending time in his arms, loving him, but every night he’s murdered in horrible, gruesome ways when those dreams turn to nightmares. But little does Kate know she’s following a path that leads right to him, and their futures are more intertwined than she can ever imagine. Arland is a man defined by duty, a warrior in the war against Darkness, a Leader to his dwindling people, yet his sole purpose in life is to protect a woman he’s never met. A woman he’s forbidden to love, even though his status as her protector means he’ll be incapable of not loving her. And when the pair do meet? Well, you’ll have to read the book to see what happens, but my guess is there’s a little fire.